On this page I'd like to share some of the useful tips and tools I've learned from being a Virtual Assistant. This website allows you to put in the first name, surname and company URL and then they do the background research using various sites and confirm the email address for you. I’ve got to admit – even though I consider myself an expert on Google research – this wonderful site has made my job so much easier. There are some that you cannot verify, but about 90% of the time it is spot on! Although this is only available on Chrome – let’s face it, it is still one of the best browsers anyways – so who doesn’t have it. 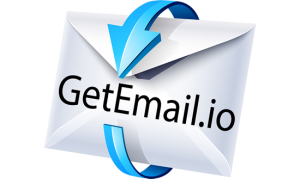 Thank you to the team of GetEmail.io – you really have the created one of the best tools on the web. I've joined the Virtual Assistant Association of South Africa in July 2018 and this is a great resource for any VA (starting up or already a few years on the go). They have several benefits listed on their sites, for both clients and Virtual Assistants. It's a great resource for clients to find a Virtual Assistant and then for Virtual Assistants to see who is looking for assistance. The process is easy, you subscribe online - supply them with your logo and services and Voila: your listed on their site. They also advertise their VA's regularly on their LinkedIn page and will send you any and all new RFP's via email. In my humble opinion, this is a great association to be part of and being that Virtual Assistants are a relatively "new" concept in South Africa, it is brilliant to have some like-minded individuals who can advice and assist you in those difficult times. Even if it's just for sharing a particular experience.